If you were to walk into the 2018 season last week during the playoffs, without any previous knowledge, you would have thought the end was here in New England. There have always been talks of the sky falling in Foxboro, but it has never come to fruition. After 2014 Week 4 in Kansas City and last years Super Bowl, “the end” rumors were at an all time high. However, this past week it was an incessant streamline of talking heads and T.V. 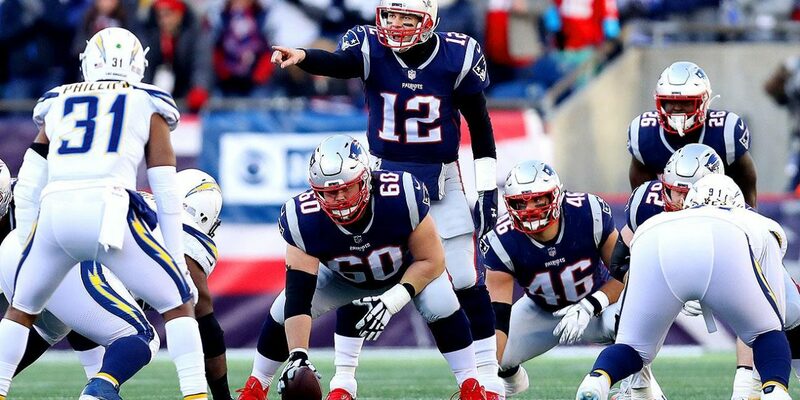 hosts all saying the same thing: “Tom Brady and the Patriots are done.” Well, in usual GOAT style, Brady made every single ESPN/FOX/NFL Network “analyst” eat their words with his dazzling performance against the Chargers. Yes, Tom Brady has not looked as sharp this year as in years past. 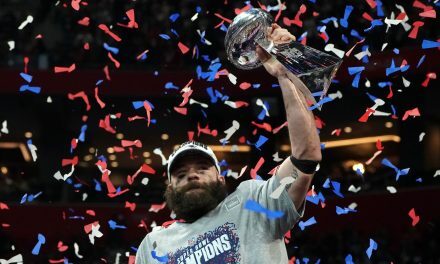 Even though his numbers are very similar to his 2014 numbers, a year the Patriots won the Super Bowl, all the media and some fans seem to care about are his bad games. So, let’s talk about those games. This was a game I think every Patriot fan would like to forget. It was a “revenge game” for the Lions and Matt Patricia, who played well above what anyone thought they could. All in all, every Patriot player had a bad game in Week 3, including Tom Brady. The offensive line gave very little help, as Brady was bombarded with pressure from every angle. The offense seemed to want to run through newly healthy Sony Michel, who couldn’t get anything done. This only exacerbated the difficulty for Tom Brady, who passed for 134 yards with one touchdown and one interception. It is 100% unfair to chalk this loss up to some cliff and put it entirely on Brady’s shoulders. 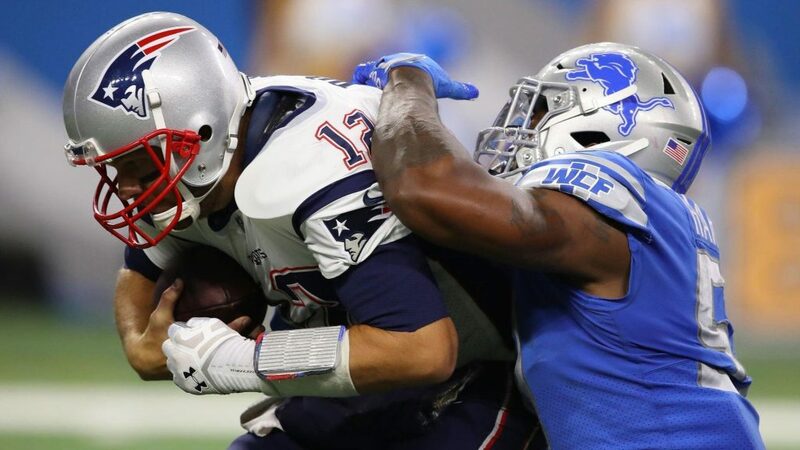 Tom Brady was under constant pressure Week 3 in Detroit, causing his play to suffer. Another game that I would gladly have slip my mind, Week 10 against the Titans. The defense played horrendous against the struggling Marcus Mariota. The offense once again relied heavily on Brady to complete long yardage passes on third down since the run game was nonexistent. However, Brady still went for 254 yards with no picks in the game. This game simply got out of hand early and the offense became one dimensional. It’s funny to see Brady’s stat line in this game be the driving force behind many of the “cliff” talks. With 126 yards passing, one touchdown, and two picks, many saw this game as the true start of the decline. However, whoever says that clearly did not watch the game. Brian Hoyer could have been in at quarterback and the Patriots still decisively win this game. Why? 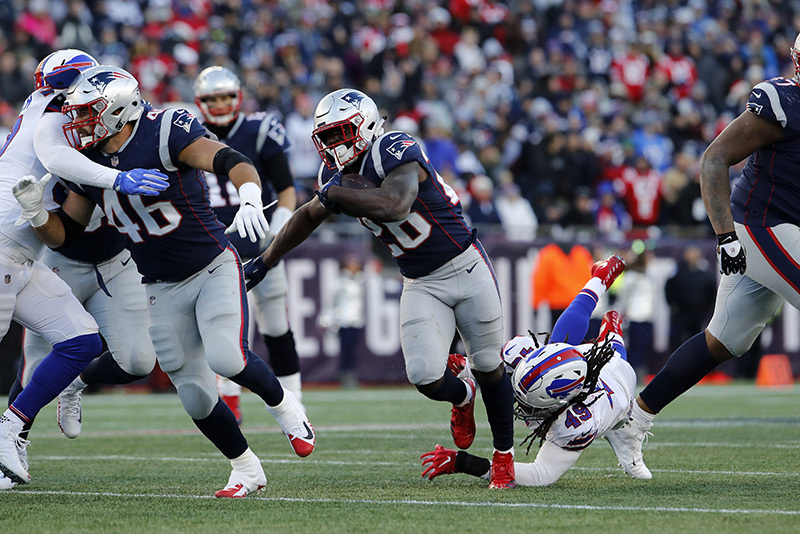 The Patriots ran all over the Bills with 200+ yards on the ground. Sony Michel had the best game of his career, and James White chimed in with a long rushing touchdown of his own. Now, another counterpoint someone might have is in regards to the two interceptions Brady threw at home in December against Buffalo. Although, like nearly half his interceptions this year, the blame needs to put on the receiver for dropping the pass, causing the INT. This game had one clear game plan on offense: run the ball down Buffalo’s throat. Tom Brady isn’t a runner, and didn’t need to be the GOAT for the Patriots to win this game. He did need to be serviceable as a quarterback, which he was in every facet. While Sony Michel and James White had a field day against Buffalo, Tom Brady was able to sit back and watch. When the worst T.V. host, Max Kellerman, made his infamous cliff remarks back in 2014, the world shrugged it off. Today, as he is still making his cliff prediction, the world needs to again dismiss it. Tom Brady, even without the Chargers game, turned in a top 5 quarterback season at age 41. 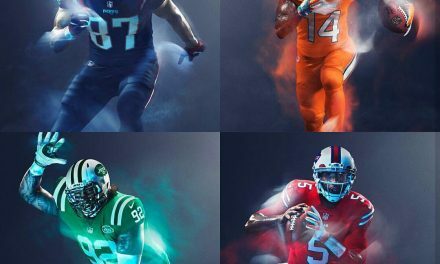 In no way, shape, or form is Tom Brady falling off a cliff. He is merely skiing down a black diamond counting his Lombardi’s and occasionally hitting a steep ridge here and there. One bad game does not make him a bad quarterback. 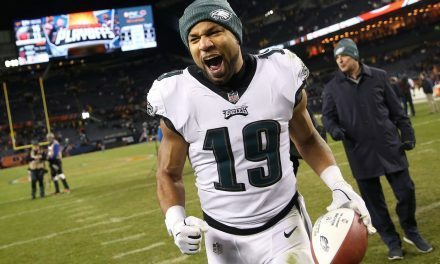 If he ever has a string of sub 200 yard and multiple interceptions games then the talk of cliffs can be taken more seriously. 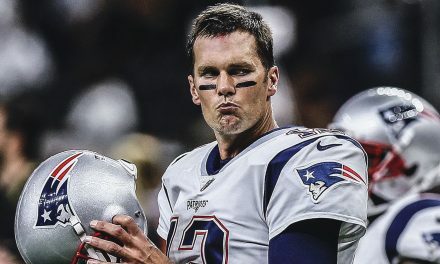 However, until then, Tom Brady is going to take his ski ride into Kansas City, where hopefully the trail will lead to Atlanta and another Lombardi Trophy.